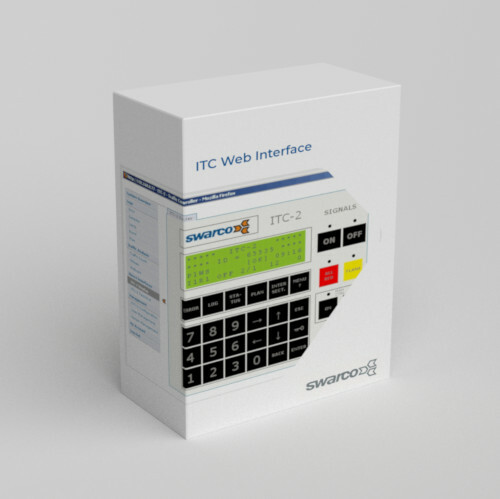 The ITC Web Interface allows authenticated users to operate the Linux-based ITC-2 Controller series through a standard web browser. Parameters can be viewed and modified providing the user with an additional powerful tool to manage intersections. 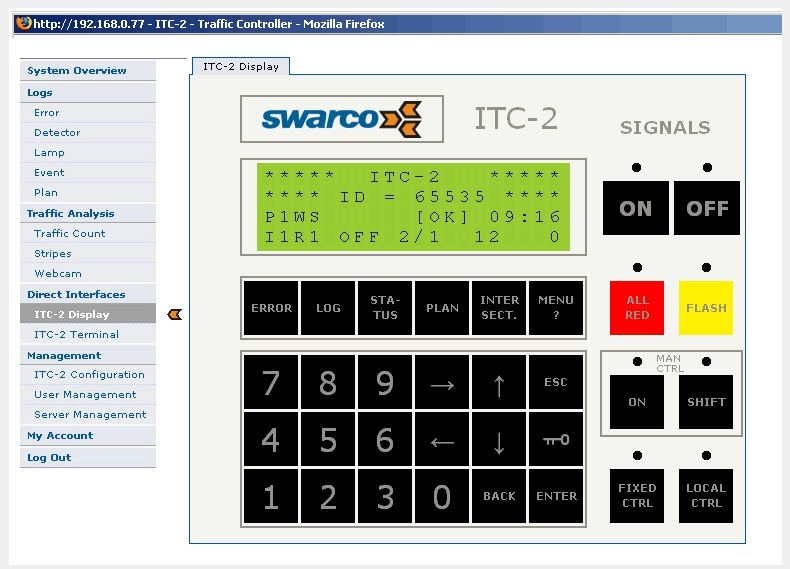 The new ITC Web Interface brings web control of the ITC-2 Traffic Controller to your office or in the field. You can connect to the interface with a web browser. The remote control provides extended capabilities to view and modify parameters in an easy and intuitive way. These powerful tools provided by the front panel of the ITC-2 Controller are also available through the ITC Web Interface enabling flexible and better management of your intersections. An easy-to-use interface for operational and administrative tasks. Additional tools compared to the physical front panel of the ITC-2 traffic controller. Access from any location that can launch a web browser. Flexible and powerful security features. The ability to provide additional help text and view annotations in a supported national language. SYSTEM OVERVIEW — displays the current overall status for the controller as well as information about the intersection(s) controlled. The user may change the current traffic plan, traffic situation and view the error log. TRAFFIC COUNT — provides a dialog box for defining the number of vehicle counters and the start/end of the counting interval. The results are displayed with user defined resolution. STRIPES — displays diagrams showing the colour schemes of user selectable signal groups within a specified interval. ERROR-, DETECTOR-, LAMP-, EVENT-, PLAN-LOGS — provide detailed log entries with descriptions divided in time, mode, code and a message describing the log entry. WEBCAM — displays a live image of the selected intersection. ITC-2 DISPLAY — emulates the functions of the controller’s front panel. ITC-2 TERMINAL — provides a textual user interface, coupled to the programmable functions of the controller. USER MANAGEMENT — enables the creation of users and editing of their rights to specific tasks and services in the ITC-2 Web Interface. SERVER MANAGEMENT — provides server specific information and functionality to set up basic parameters of the ITC-2 Controller. ITC-2 CONFIGURATION — provides an upload feature for new ITC-PC configuration files as well as the possibility to download the current configuration. MY ACCOUNT — allows the user to edit his/her password. Java 5 (J2SE 5.0) or better from Sun Microsystems.